Ascending Butterfly: A Little Wine and Beauty in New York City! Alert to all my New York City Readers, there is tons of fun to be had in the City today, wanna learn how wine and beauty combine? First: The Beauty. The Beauty Bus is back by popular demand! - Come see the Beauty Bus in Union Square! Union Square West between 15th street and 16th street on October 6th from 12pm – 6pm. Don’t miss the excitement! If you can't get there, you can watch the fun on livestream, how cool is that? The Beauty Bus, a glass truck outfitted with styling chairs, mirrors, and beauty product must-haves, will invite Manhattanites aboard to receive professional makeup applications, DIY beauty tips, and hairstyling consultations. Hair Room Service celebrity stylists and DailyCandy editors will be on-site sharing their favorite beauty tips and looks. Second: The Wine, Great Match 2011 - Once you get all dolled up, you'll invariably need somewhere to go to show off all your fierceness right? How about some wine? 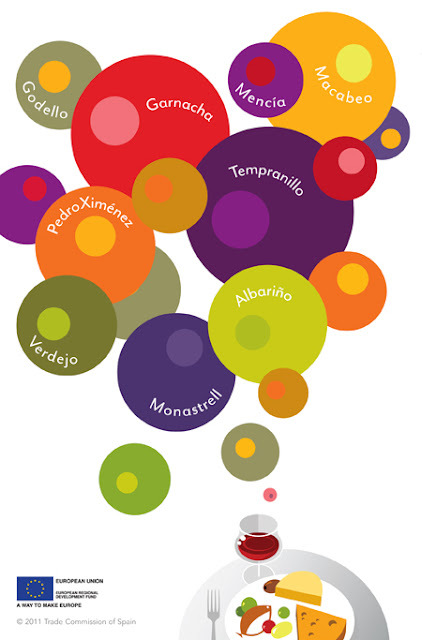 How about the 18th Annual Great Match, featuring Spain’s Vivacious Varietals? Meet with Spanish winery representatives, wine importers and distributors at this must-attend trade-only tasting. Discover new wines while tasting your way through Spain, highlighting more than 150 wines from many of Spain’s denominations of origin. Don't live in NYC? No problem! If you live in Seattle, this event will be coming to you on Thursday, October 13th, and if you live in Atlanta, Great Match is hitting your city on Tuesday, October 25th. See the Great Match 2011 website for more details! You know I love give back opps, and this event comes with a great one! You can spend money for a fun day and do something to help others at the same time, in my book it doesn't get much better than that! A portion of the proceeds will benefit the Food Bank for New York City, the city's major hunger-relief organization working to end food poverty throughout the five boroughs. Tickets are $60 – advance purchase required. Click here to buy tickets. For additional information, please call 888-946-3919. American Express, Visa & MasterCard accepted. All attendees must be 21 or older. Photo ID required. All sales final. FTC Disclosure: I have access to both events as a member of the digital press. This is a non-sponsored post. No monetary compensation has been received to post about these events. Wine and beauty and here I am in Florida - enjoy!!!! @BWOMM - I've got to admit that there are some perks to living in the city that never sleeps!